The DataLogger 5 from McElroy offers the ability to record and document the parameters of the pipe fusion process. 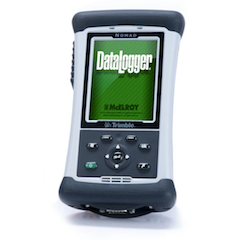 The latest generation of the DataLogger is similar in size to the DataLogger 4, and like the DataLogger 4, it has a rechargeable internal battery and a pressure sensor with a 0 to 3,000 psi pressure range. The FusionGuide feature gives a fast “go/no-go” interpretation of graphs generated by the DataLogger. Trained inspectors can look at the FusionGuide data to determine if a fusion joint was fused with correct pressures and times according to supported standards.